Answer a few questions and view jobs at UPMC that match your preferences. The University of Pittsburgh Medical Center (UPMC) is a $16 billion integrated global nonprofit health enterprise that has 80,000 employees, over 35 hospitals with more than 8,000 licensed beds, 600 clinical locations including outpatient sites and doctors' offices, a 3.4 million-member health insurance division, as well as commercial and international ventures. It is closely affiliated with its academic partner, the University of Pittsburgh. It is considered a leading American health care provider, as its flagship facilities have ranked in US News & World Report "Honor Roll" of the approximately 15 to 20 best hospitals in America for over 15 years. As of 2016, UPMC is ranked 12th nationally among the best hospitals (and second in Pennsylvania) by US News & World Report and ranked in 15 of 16 specialty areas when including UPMC Magee-Womens Hospital. This does not include UPMC Children's Hospital of Pittsburgh which ranked in the top 10 of pediatric centers in a separate US News ranking. UPMC's mission is to serve our community by providing outstanding patient care and to shape tomorrow's health system through clinical and technological innovation, research, and education. Do You Work At UPMC? After making an error in judgement I was suspended. The overall process to keep the job is stressful and at any point in the process upmc can find reasonable justification to push an employee out regardless of documentation or promises made. It's not about helping the employee, it's about who wants or doesn't want you. There is a lack of trust throughout each department. They miss the point of helping the employee once a mistake is made. It's like you are branded and made to jump through ridiculous hoops then let go after a technicality. Ability to learn different areas of function if you take initiative. How Would You Rate Working At UPMC? Are you working at UPMC? 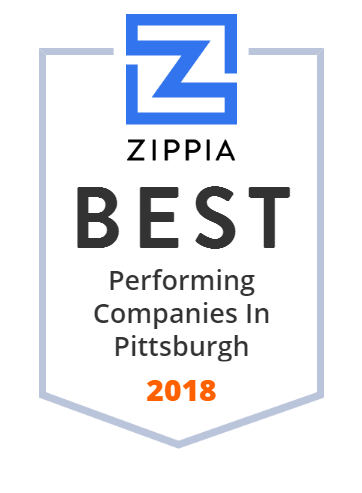 Help us rate UPMC as an employer. How Would You Rate The Company Culture Of UPMC? Have you worked at UPMC? Help other job seekers by rating UPMC. You can find out what it is like to work at UPMC, also known as UNIV OF PITTSBURGH MED CENT, UPMC and University of Pittsburgh Medical Center. Zippia gives an in-depth look into the details of UPMC, including salaries, political affiliations, employee data, and more, in order to inform job seekers about UPMC. The employee data is based on information from people who have self-reported their past or current employments at UPMC. While we have made attempts to ensure that the information displayed are correct, Zippia is not responsible for any errors or omissions, or for the results obtained from the use of this information. The data presented on this page does not represent the view of UPMC and its employees or that of Zippia.